SAVE 50% ON PAINT TOOLS ! BIG protection against harmful dust particles at a small price! 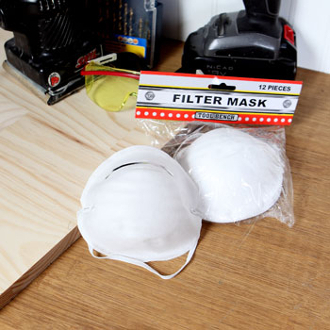 Lightweight contour-fit filter dust mask is a must for lawn maintenance, wood working, and other dusty projects, plus it allows for clear vision and is disposable. Construction contractors, painters & wood craftsmen will appreciate the elastic secure fit as well as the great price. Excellent resale item for hardware stores, paint supply centers, convenience stores & more.